Kannan is one of the pioneer indoor cycling instructors in the country. He started teaching cycling classes in 2001 and has certification from Spinning, Schwinn and RPM. He holds certifications in: TRX; CPR; Active Isolated Stretching; FISAF and Fitness First – Personal Trainer/Fitness Instructor. 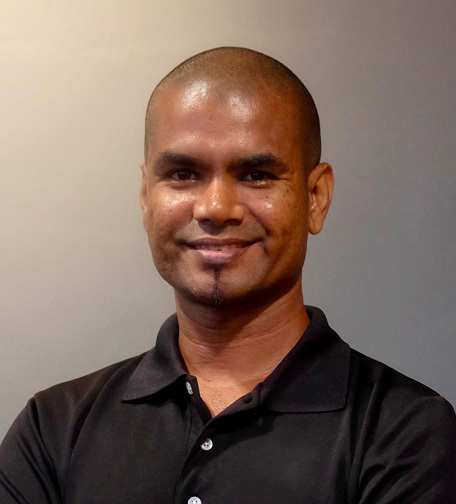 Kannan also conducts mobile personal training via his company Mission Fit since 2006 and was voted Top 5 Personal Trainer in Kuala Lumpur in Lifestyleasia online magazine in 2012. Kannan holds the Malaysia’s Book of Record for being the first and only Malaysian to have completed the Ultraman Canada(10km swim, 420km cycle and 84km run) feattwice, once in 2007 & in 2014. Other sporting credentials include 10 Ironman triathlon finishes, including the Ironman World Championship in Hawaii, Ironman UnitedKingdom, Taiwan, Bintan and Malaysia. Kannan has been an Emcee since 2009 for many huge sporting events such as the Powerman Asia Duathlon Championship Malaysia, Malaysia Women Marathon, Twincity Marathon Cyberjaya, Sundown Marathon Penang and the Junior Cycling Malaysia Series 1 MAEPS Serdang. Appearedonlocal media: the local TV series; Health Buzz in 2009; as well as NTV7 Breakfast show and BFM radio. He was featured in ‘Running Malaysia’ magazine in 2014 and currently a fitness columnist for the magazine. Cycology welcomes Ultraman. Godzilla better watch out!